I’ve been working over the last year to restore balance to my life. A year ago I was in the physical and emotional trenches. As I looked in the mirror, I realized I hadn’t been taking care of myself. My mood was suffering due to this fact. Enter bicycling. My husband, Brian, began biking and wanted me to ride with him. He bought me a bike and signed me up for Charlotte’s CyclingSavvy class. 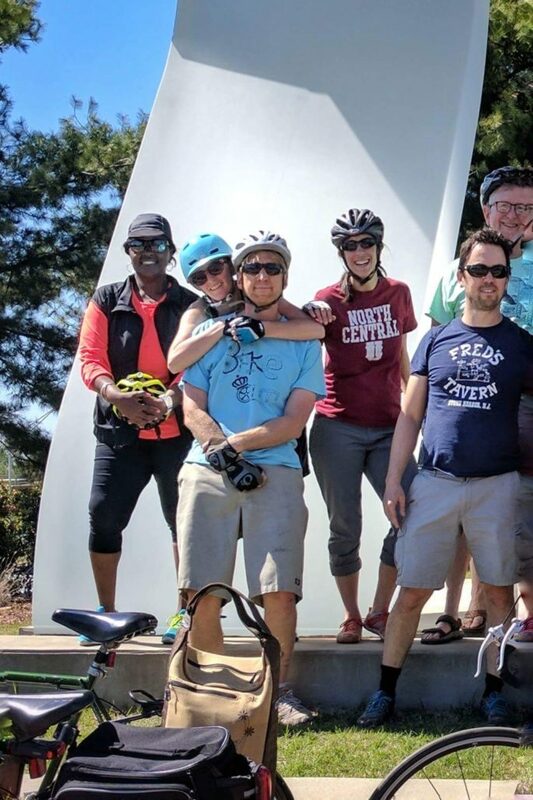 After taking CyclingSavvy, I rode in my neighborhood and once with the Sunday Slow Riders. But I have to be honest: It was hard, and I had doubts. I had a hard time with anxiety, and felt anxious when going out for groceries or a family get-together. 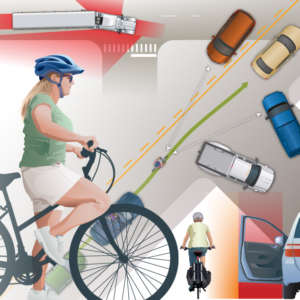 How would I be riding a bike in traffic? One year went by where I hardly biked at all. I watched my husband make great progress physically. 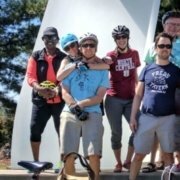 He was meeting new people and making new friends on group bike rides. I wanted that! In February 2017 I went back to a healthy diet, and got on my bike that very afternoon. After months of not riding, I completed 10.8 miles. I was thrilled! Always keeping the CyclingSavvy lessons that I learned in my mind, I began to get my confidence back. I started riding whenever I could with the Sunday Slow Riders and on the Plaza Midwood Tuesday Night Ride. I was gaining more endurance. Before I started bicycling regularly, I would feel tired for no reason. Now I have more energy and sleep better. I no longer feel weak and helpless, and have more self confidence. I can’t leave out those who helped me get here! For starters, my husband, Brian Gryder. 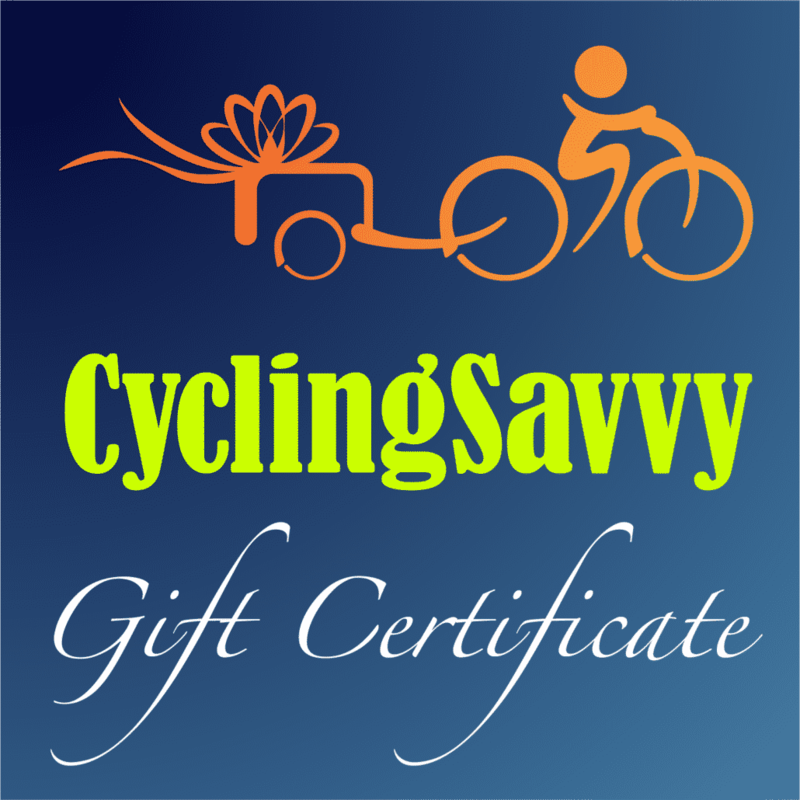 Next, CyclingSavvy Instructor Pamela Murray. Finally, all the people I meet at each outing. What a wonderful group to ride with. We take care of each other. With a huge THANK YOU to ALL the bike riders! I feel a rise in my self-esteem, a positive change in my attitude, and a better outlook on my life.